Create simple & functional living room furniture. With SteelTek you can assemble in minutes what would normally take hours of build time. SteelTek threadless fittings and pipe allow for easy connections. This also adds the unique property of being able to modify existing projects easily. Use SteelTek to Finish an Outdoor Workout Course! 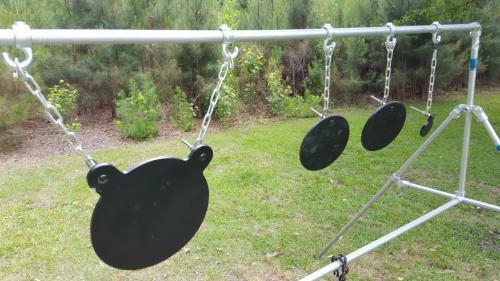 Target Range built with SteelTek! We would love to here about the inspiring creations you have made. Please share your projects and ideas with us!